I have frequently heard it said that a tour of the land of Israel is worth two years of Bible College. My experience of visiting the land of Israel on a number of occasions has confirmed to me the validity of this statement. Geography may not be everyone’s forte, but becoming familiar with the “lay of the land” is an eye-opening experience when it comes to studying the Bible. Learning about the hills and valleys, the ancient cities and climate of the various parts of Israel, adds a third dimension to Bible study that provides greater insight into the various events described in its pages. Lexham Press has done everyone a great service toward this end by producing a new Geographic Commentary series. The first offering in this series concentrates on the Gospels and the second, soon to be available, is dedicated to Acts through Revelation. 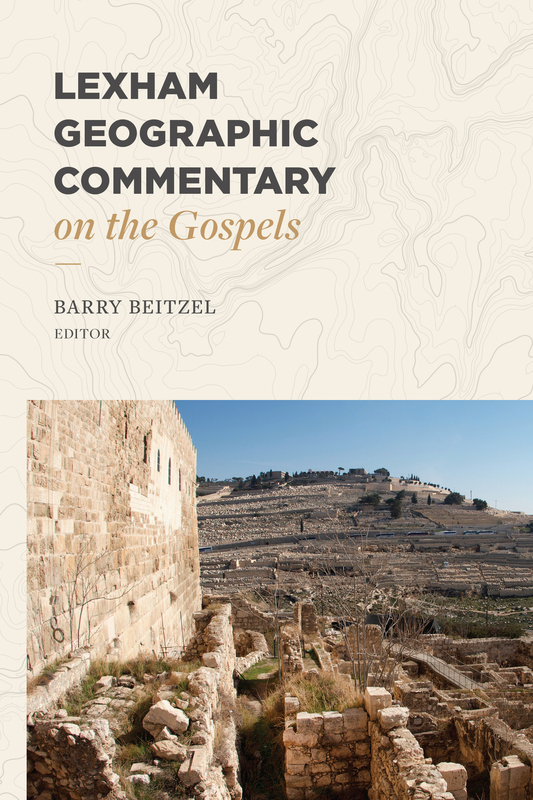 This commentary, edited by Barry Beitzel, OT scholar, geographer and cartographer, is a collection of articles by various scholars with years of experience in studying the geography of Israel. Many have participated in archaeological digs throughout Israel, led study tours, lived in Israel, and/or taught at the prestigious Jerusalem University College (formerly known as the American Institute of Holy Land Studies). Lexham’s Geographical Commentary on the Gospels consists of 48 chapters arranged in a topical and, roughly, chronological order of Jesus’ life. 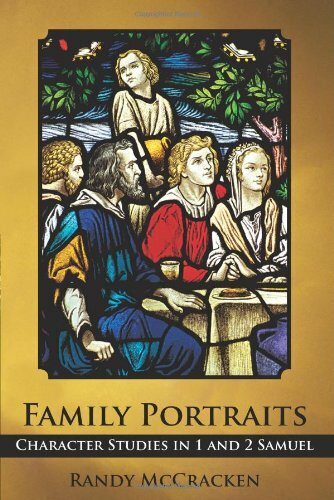 For example, the first three chapters discuss the birth narratives which are followed by a chapter on Nazareth and several chapters on the Wilderness (including discussions on John the Baptist, Jesus’ baptism and wilderness temptation). As one might expect in a chronological treatment, the commentary ends with articles about Jesus’ Passion. These chapters center on Gethsemane, Jesus’ trial, crucifixion, burial and post-resurrection appearances. Some chapter titles suggest how theological truths are communicated by understanding the geography of Israel. For instance, Chapter 25 is entitled, “The Geography of Forgiveness.” Similarly, the headline of Chapter 30 reads, “The Geographical Significance of the Transfiguration.” Furthermore, in her article entitled, “Jesus’ Journey into Gentile Territories” (chap. 24), Emily J. Thomassen asserts, “In biblical narrative, authors often mention place names in order to communicate a message of theological importance.” Again she notes, “In the ancient world, authors strategically used, reused, and nuanced geographic references in order to impact the reader” (p. 248). A nice feature at the beginning of each chapter is a listing of pertinent Scriptures and an overview of the key points that are discussed. An example is given below. This screenshot is from the beginning of Chapter 12 in the Lexham Geographical Commentary on the Gospels. As the above screenshot illustrates, not all chapters deal only with Geographical details. This chapter points out a number of interesting facts. Among them are, how long it would take a woman to grind grain for a family (upwards of 3 hours!). The author, who happens to be a woman (Elaine A. Phillips), notes that this gives a new meaning to “give us our daily bread!” (p. 112). Phillips also points out that the word used for the “guest room” at the Passover (katalyma) is the same word used in the birth narrative of Jesus often translated as “inn” (113). She, along with several other authors in this volume (Wright, p. 4 and Foreman, p. 14), note that the word more properly means “guest room,” not “inn.” Phillips concludes the chapter with an insightful section entitled “Symbolism and Lessons.” You’ll have to get the book to find out more! 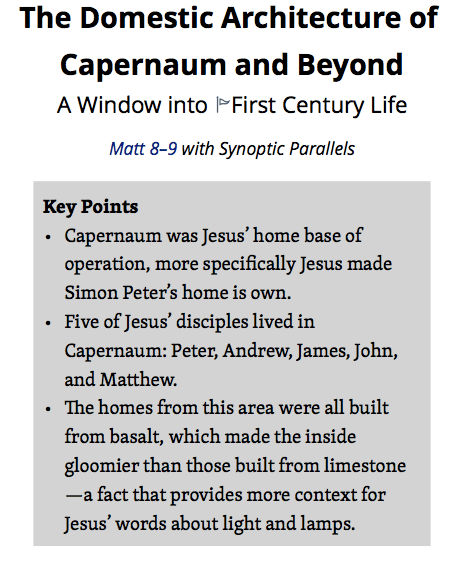 The strengths of Lexham’s Geographic Commentary on the Gospels are many. As noted above, each chapter is written by an expert in the field. The authors are not only familiar with the geography of the Holy Land, they are also up-to-date on the latest archaeological discoveries and theories. 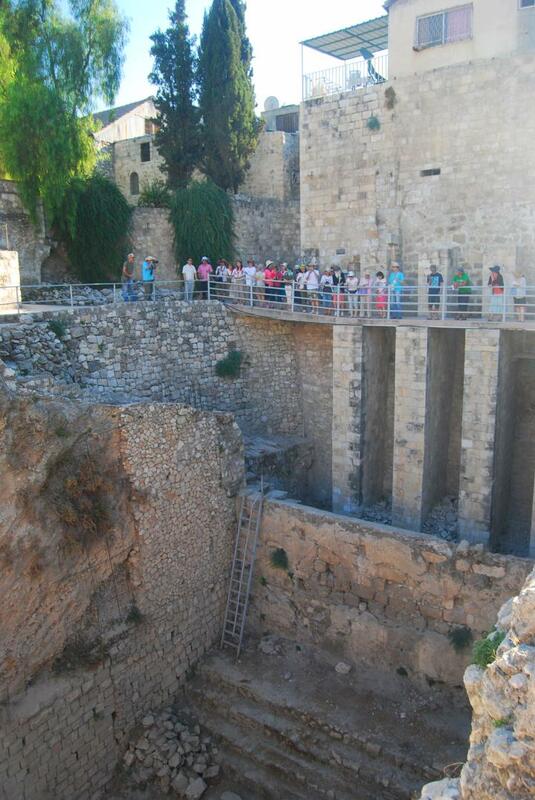 For example, Benjamin A. Foreman’s chapter entitled, “Locating Jesus’ Crucifixion and Burial,” may burst a few bubbles for those who have toured Israel and been shown the Garden Tomb and the Stone Pavement near the Fortress of Antonia, but his facts are correct. Foreman notes that most scholars are now convinced that Jesus’ Trial took place at Herod’s Palace (the remains of which are near the Jaffa Gate), rather than the Fortress of Antonia, and that the Stone Pavement often shown to visitors as the place where Jesus was tried has actually been dated to the second century A.D. during the time of the Roman Emperor Hadrian. Furthermore, he notes that tradition (about 1900 years of it) and archaeology stand behind the Church of the Holy Sepulchre as being the correct site for Jesus’ crucifixion and burial. Not only is the tradition on the Garden Tomb very late (1842), archaeology reveals that the Tomb actually dates to the eighth to seventh centuries B.C., far too early to be a “newly carved” tomb as the Gospels relate. Sorry folks, if you want to retain some “warm fuzzies” about the Holy Land this book will destroy some of your illusions. However, if you’re looking for evidence and hard facts then you will find this commentary enlightening and helpful. Before speaking of weaknesses, I must note some other interesting insights. Aubrey Taylor (chap. 5 “Ministry in the Wilderness”) has written an excellent chapter on the significance of the wilderness location for John’s ministry (both negative and positive connotations) and some interesting insights into baptism. Perhaps the most provocative chapter is Chapter 14 “Jesus at the Pool of Bethesda,” by Gordon Franz. Franz suggests that a pagan shrine stood on this spot in the first century and that the angel referred to is actually a “fallen angel” (demon). According to Franz, Jesus is proving himself to be the true healer! He also contends that the feast mentioned in John 5:1 is the feast of Purim which he believes is significant for the interpretation of the passage. Space only permits the mention of one more chapter. Emily J. Thomassen’s article entitled, “Shared Memories of Resurrection on the Hill of Moreh” (Chapter 16), provides wonderful insight into the way in which the Gospel of Luke casts Jesus in the images of the prophets Elijah and Elisha. 2 possible locations of Bethany Beyond the Jordan. Map provided by Lexham Geographic Commentary on the Gospels. In spite of it’s many strengths, there are a few weaknesses to Lexham’s Geographical Commentary on the Gospels. While I won’t complain about overlapping treatment (e.g., there are 3 treatments of Jesus’ birth), the differing conclusions reached by experts can be confusing for the layperson. For example, Wright and Foreman have different explanations as to why Mary couldn’t give birth in the “guest room.” They also note that there are two potential origins for the Magi–Babylon and Arabia. Wright favors an Arabian location (pp. 7-8), while Foreman favors the Babylonian provenance (pp. 24-25). Perhaps the editor is simply trying to present both sides of the argument, but again, it can be confusing when the experts disagree. The same can be said for the location of Bethany beyond the Jordan where John baptized (see map above left). Taylor concludes a location near the Dead Sea is correct (44), while Foreman concludes the northern location in Batanea is the correct one (73). How is the reader to decide between the two? Other weaknesses include a few typos. Two of the more glaring ones are Wright’s locating Constantine 80 years after Justin Martyr (5), rather than 180-200 years later as Foreman correctly does in the next chapter (15), and a parenthetical comment on page 16 which reads, “First Century Israelite House diagram pg. 395” when the diagram is actually found on page 6 (and also p. 114). Finally, once in a while the reader would like more information. For example, Elaine A. Phillips suggests that the town of Bethany (think, Mary, Martha, and Lazarus) “…may have been somewhat of a colony for those who suffered from leprosy” (113). The only support she provides is that Jesus ate at the home of Simon the Leper in Bethany and that Bethany was out of view of the temple but still close to Jerusalem. This is slim evidence and the reader wonders if there is more that Phillips isn’t able to share (perhaps due to space considerations?). Simply put, the digital version of the Geographic Commentary available on Logos Bible Software is superior to the hardback copy. I have both and have frequently compared them. For one thing, a number of the typos mentioned above (and some not mentioned) disappear in the digital version. The flexibility of the digital version presents many other advantages also. First, there are many more maps, pictures and diagrams. Some of these are repetitions found in previous chapters. The advantage of the repetitions is that you don’t have to go to some other part of the book to find them. The digital version also provides a given photo or map at the exact spot where the discussion is happening. While the hardback version isn’t bad, there are times when a map or photo appears at an inconvenient spot. For example, Aubrey Taylor’s discussion of the two possible locations of Bethany Beyond the Jordan occurs on page 44, but the map doesn’t show up until page 46. One of the really nice features of the digital version of the Geographic Commentary is the frequency of videos. If the author is talking about the Sea of Galilee, the digital version provides you with a video. Sometimes the videos are from the FaithLife Study Bible in which case they are short 30-40 second videos with no commentary. On other occasions, the videos connect to FaithLife TV on the FaithLife website. These videos frequently run 7-8 minutes with commentary provided. This is a real plus when compared to the hardback version! One warning, however. If you don’t have a subscription to FaithLife TV there are some videos you won’t be able to watch. The digital version also provides links to the Factbook, word studies, and, of course you can always hover over a Scripture reference to read it quickly rather than having to constantly turn pages in your Bible. As with all digital books in the Logos library, it also receives updates providing corrections for errors, or, in some cases, adding new information. Still, I realize that some prefer holding a book in their hand and to them I can heartily recommend the hardback version as well. If pressed to give a rating to the Lexham Geographical Commentary on the Gospels, I would give the hardback version 4 stars and the digital version 5 stars. Either way, it is a great addition to anyone’s library who is interested in a deeper study of the Bible. Many thanks to Lexham Press for this free review copy. The opinions I have expressed are my own, and I was not required to write a positive review. Previous PostWhy Abiathar Chose Adonijah and not SolomonNext PostAbel Beth Maacah: The Face of a King?